Alexander Ovechkin will travel to Greece this weekend and will accept the Olympic torch on behalf of the Sochi Games after it's ignited in Olympia. He will miss the Capitals final exhibition game to the make the once in a lifetime trip. He's set to return to Washington on Sunday and then practise with the Capitals on Monday. So with Ovie going to Greece, the question begs: Do they play hockey in Greece? The answer is yes, even though they do not have a rink. Ice Hockey, as it is known to the few who know what it is, started in Greece in 1984. The first official Greek hockey championships were held by 1989. By 1990 the country actually put together an entry at the World Junior Hockey Championships (C Pool) and by 1992 the senior men's team participated in the World Championships (also C Pool), held in South Africa. They actually won the bronze medal that year. That was the height of hockey in Greece. Beginning in 1993 the government cut all economic help with the sport, forcing the participants to pay all costs directly. Many players simply quit the game. 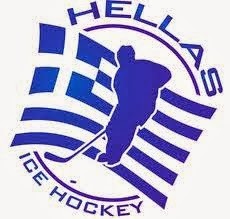 According to a recent IIHF study Greece currently has over 700 registered hockey players including 153 under the age of 20, and 97 women. There are only 6 referees in the country - 4 male and 2 female. I'm not sure how these 700 or so die hard hockey fanatics actually play the game because there is no actual rink in the entire country anymore. The last rink closed in May of 2003. Players on the national team had to pick up their own expenses and travel to the Czech Republic to train. Dimitrios Kalyvas is the all time leading scorer in Greek national team history with 26 goals and 49 points. Orestis Tilios is the all time leader in games played, with 30. Interestingly, Greece is not the only member of the IIHF without a rink in the country. Ireland and Liechtenstein are also rinkless, but presumably can find facilities across their borders fairly easily.